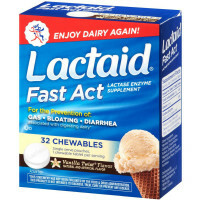 Directions How do you use LACTAID Fast Act Supplement? Swallow 1 caplet with your FIRST BITE of dairy foods. If necessary, you may swallow 2 caplets at one time. 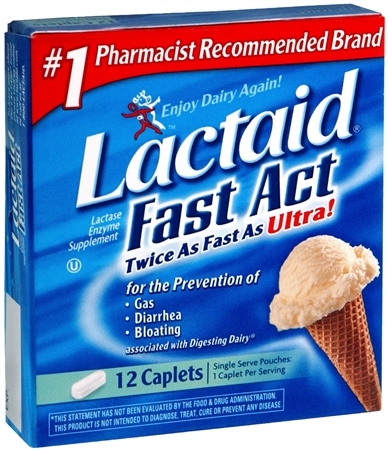 If you continue to eat foods containing dairy after 30-45 minutes, we recommend taking another caplet. How often can you use LACTAID Fast Act Supplement? 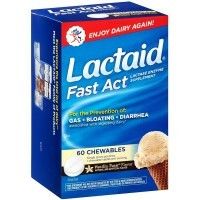 May be used every time you eat foods containing dairy. Can be used with every meal and snack, every day.